Sift the flour into a bowl and add the pinch of salt and bicarb. Beat the egg into the milk and pour the mix into the bowl. Grate over a generous amount of cheese and stir through until the mix forms a good consistency. Spoon a dollop into the pan and keep on a medium heat until bubbles form on the top. Turn over and cook on other side until your desired colour. Cook your bacon and set it aside. 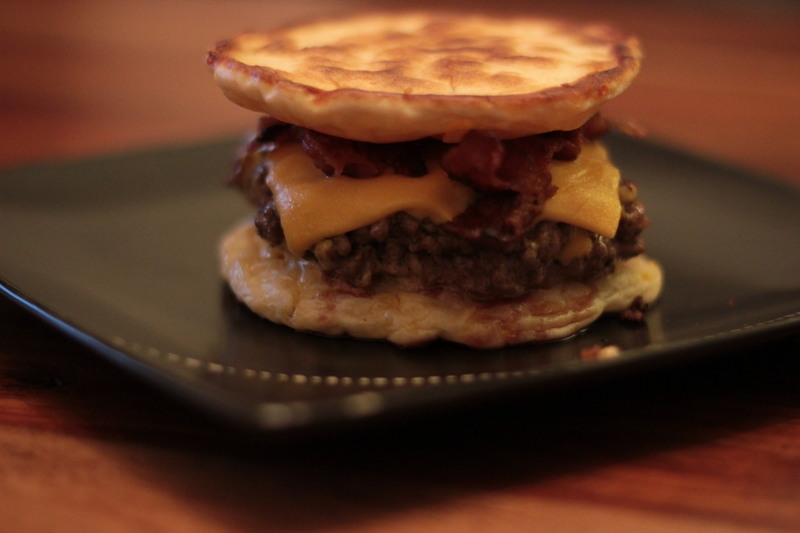 Are you having one this Pancake Tuesday? Heat up a skillet or pan with a little oil. Roll up the mince into approximately golf ball sized shape. Sprinkle salt on the top side only. Place the ball of meat into the hot pan (salt side down). Cook for one minute. Sprinkle salt on the top and flip over. 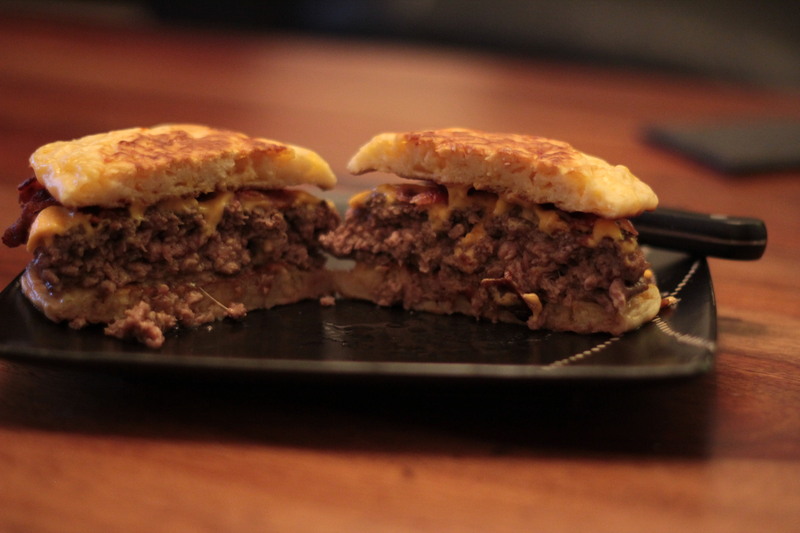 At this point you want to smash the patty down. Following the instructions above should ensure that it stays together and doesn’t fall apart. 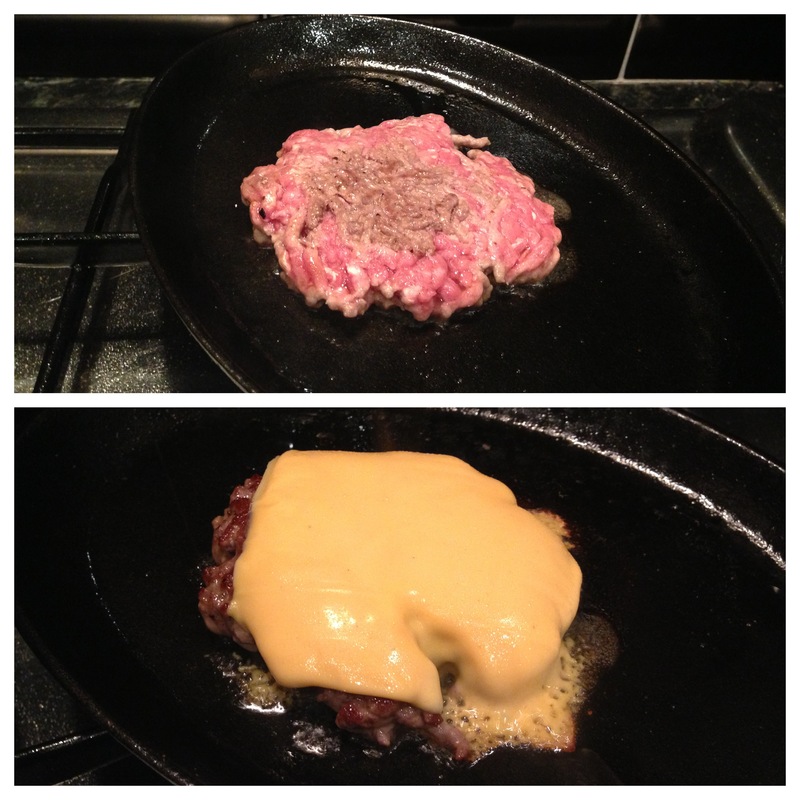 To ‘smash’ it, simply press down on the patty with a fish slice until it reaches your desired look. 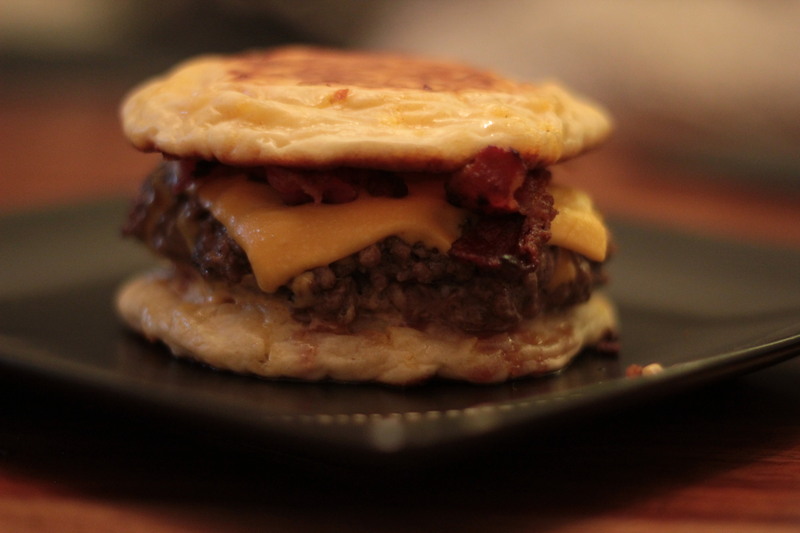 Add some American cheese to the top of the patty as it cooks and flip accordingly. Or perhaps just any Tuesday? 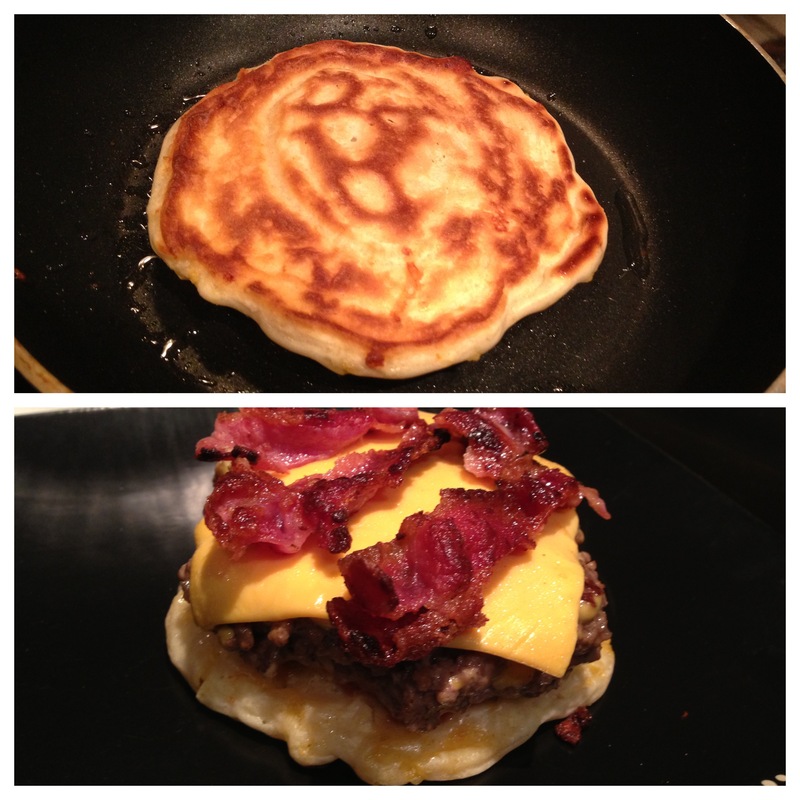 Now simply plate up, slicing the bacon and placing it on top of the patty before topping with the second pancake. Fantastic, I will show this to Mrs Sensible, She is a dab hand with pancakes.